The Lifetime Mounting Bracket Model # 9594 backboard brackets allow you to mount Lifetime backboards to walls, roofs, garages or poles. This bracket is a fixed-height bracket, meaning the bracket does not have a mechanism that allows the user to raise and lower the backboard height. To reach regulation rim height, the pole you attach this bracket to - or the wall or roof - must be at least 10.5 feet tall. This bracket is only compatible with a product made by Lifetime Products. Contact us to verify compatibility with your system before ordering. The Lifetime Mounting Bracket Model # 9594 backboard brackets allow you to mount Lifetime backboards to walls, roofs, garages or poles. This bracket is a fixed-height bracket, meaning the bracket does not have a mechanism that allows the user to raise and lower the backboard height. To reach regulation rim height, the pole you attach this bracket to - or the wall or roof - must be at least 10.5 feet tall. This bracket is only compatible with a product made by Lifetime Products. Contact us to verify compatibility with your system before ordering. 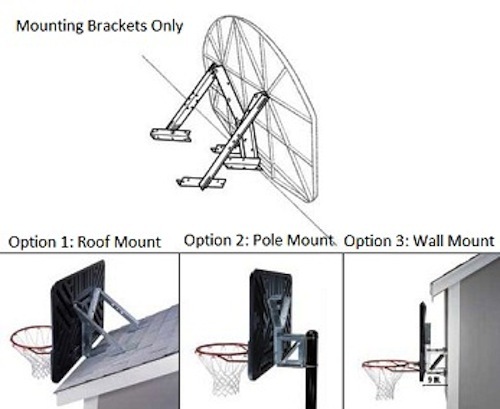 Lifetime backboard extension bracket kit includes hardware to mount to walls, roofs, and 3.5 diameter round poles. Please keep in mind if you are mounting this to a pole that the height of the pole must be 10.5' in order for your rim to reach the standard 10" height. If your pole is between 8.5' and 10' you might consider the adjustable brackets model 1044 which allow your rim to reach 10' as it has arms that extend the rim higher than the top of the pole. Depending on which option you use during assembly you will have leftover parts. The kit can be mounted to other size poles with hardware that may be purchased at your local hardware store. 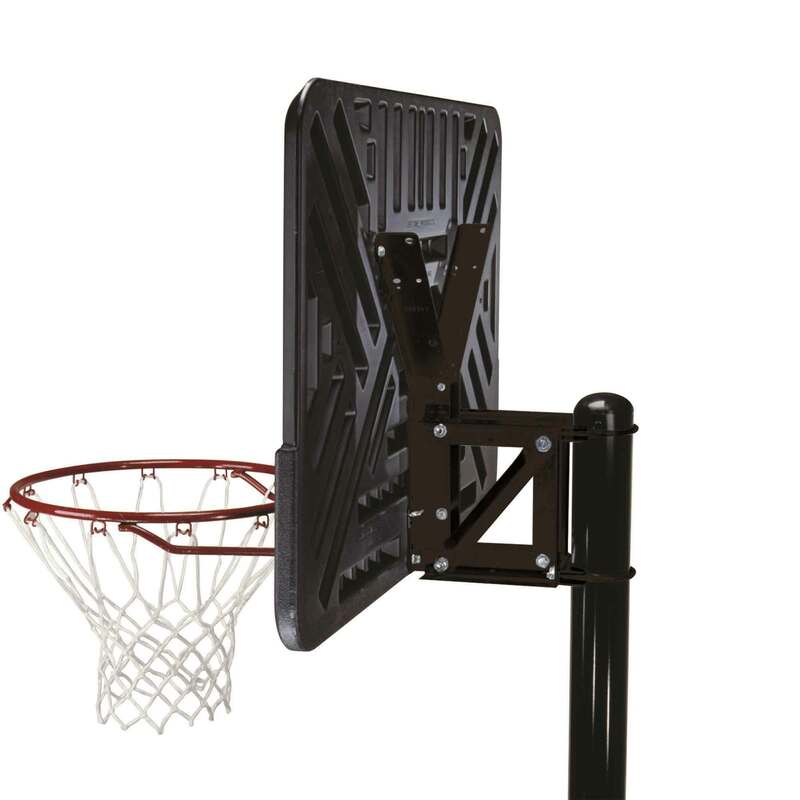 This bracket only mounts to the Lifetime Brand Backboard and Rim Combos. 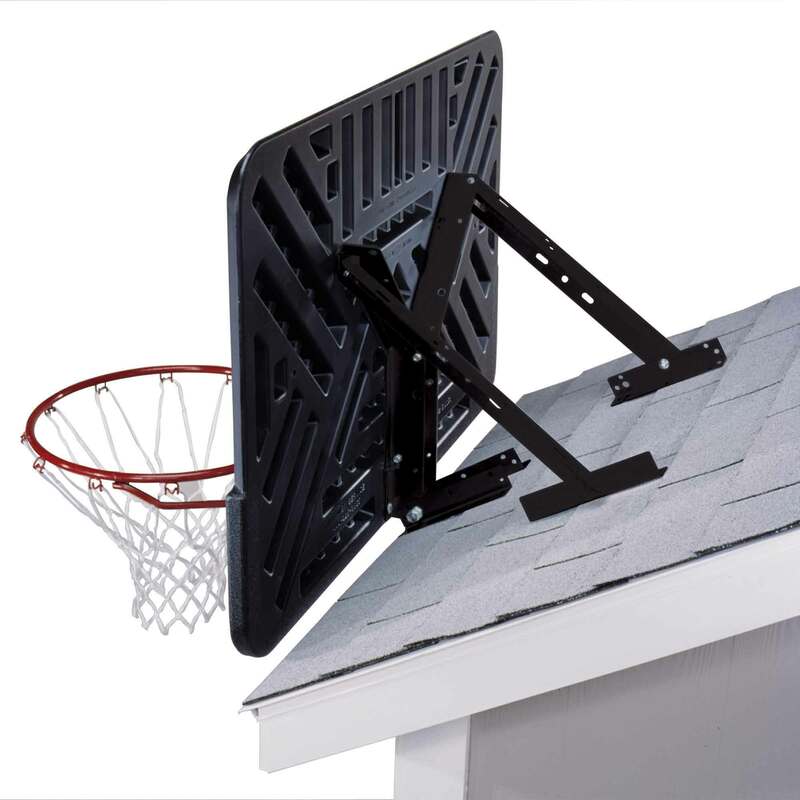 Check out our basketball replacement backboards and other roof mounting kit for basketball goal products. 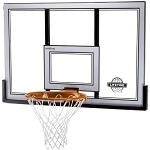 Purchase multiple Competitive Edge sports 9594 basketball rim backboard brackets to save on shipping. Galvanized Mounting Kit (Similar to the huffy 8406 basketball backboard roof mount kit) 9594 bracket also replaced Lifetime 9596 Lifetime Backboard Mount basketball net garage mountable Kit. 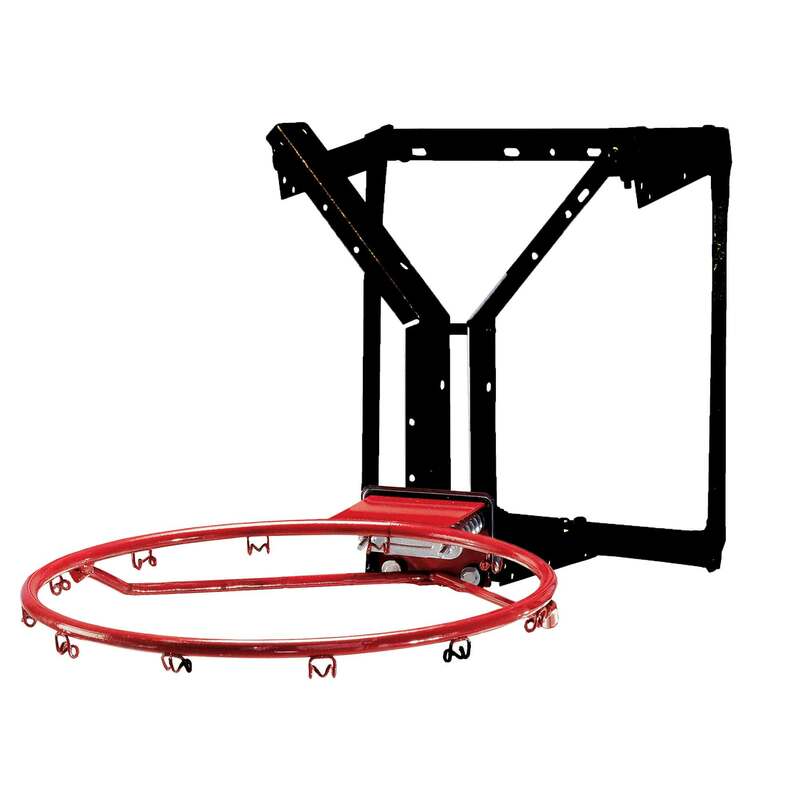 *Note: this basketball hoop mounting bracket does not include a backboard, rim, or pole. Hardware (lag bolts) to attach this bracket to a roof or wall are not included, but can typically be purchased at most any hardware store in your local area. Brackets are galvanized and rust-resistant. 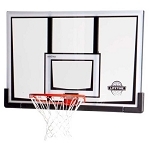 Lifetime Basketball Extension Mounts Backboard and Rim to either a Roof, a Pole, or Wall. This mounting bracket will only mount to Lifetime Backboard Systems. The 9594 will not mount to any other manufactured basketball. Hardware to mount the bracket to a wall or rooftop are not included. These parts can be purchased at most local hardware stores. 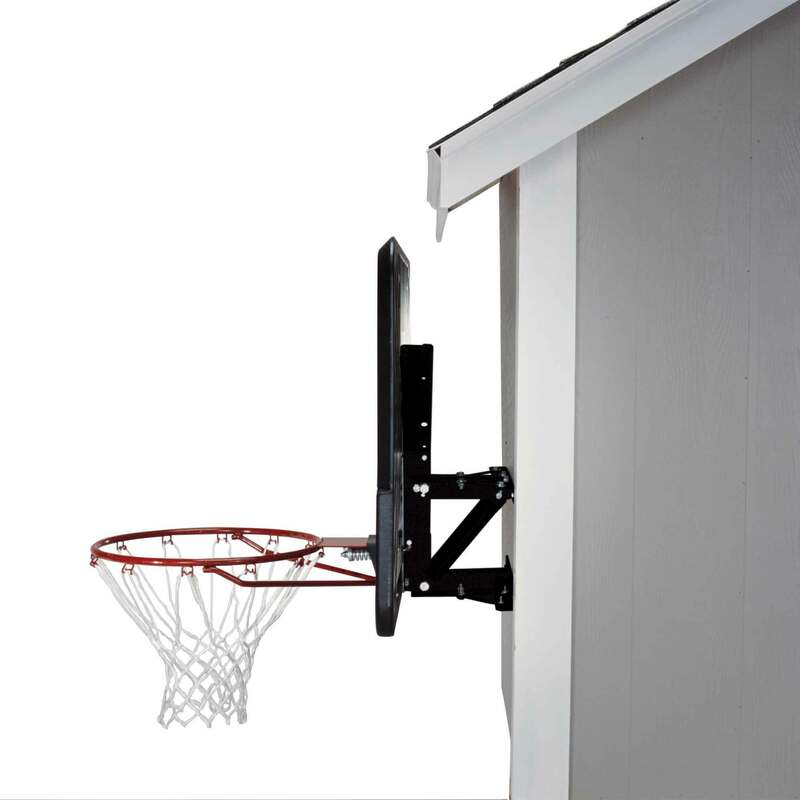 The 9594 Mounting Brackets are one of our least expensive Lifetime basketball roof mounts. 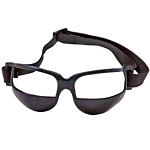 Provides a sturdy and durable mount. Just what I needed. Much better than the pole on wheels! Thanks!!! Was very happy with product. It shipped very fast. I would buy from here again. Great transaction. Quick shipping! Good price! Q: WILL THIS BRACKET WORK ON A 4" PIPE POLE? ( 4 1/2" DIAMETER) WHAT PARTS DO I HAVE TO PURCHASE TO MAKE IT WORK? A: This will only work on a 3.5" round pole or flat wall for a roof. As far as poles go it is designed specifically for 3.5" round pole. Sometimes customers can make it work by purchasing saddled brackets and u-bolts from a local hardware or fencing company. If you are putting it on a pole there is something to consider. The pole must be 10 1/2 feet out of the ground in order for you to use this bracket and also keep your rim at 10 feet high. A: When you mount this you will need a surface of at least 16"W x 20"L or larger. Q: Is this bracket compatible with the Lifetime backboard/rim model number 73728? A: Yes, it is compatible. 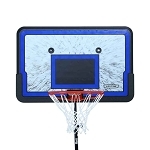 Q: I have a lifetime basketball goal (portable) that the backboard was shattered and needs replacement, would this kit be suitable. 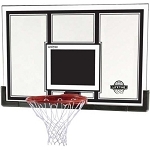 Am I able to attached the current basketball goal to this kit? A: It will fit if the pole you have is a 3/5” round pole. Otherwise you would need to call 1-800-225-3865. Q: Does this mounting bracket work if you have two poles to mount to where the poles are 16 inches apart? A: For that you would need to call 1-800-225-3865. Q: Can this mount be used on a flat roof? A: Yes, it sure can. Please see the instruction manual tab at the top. 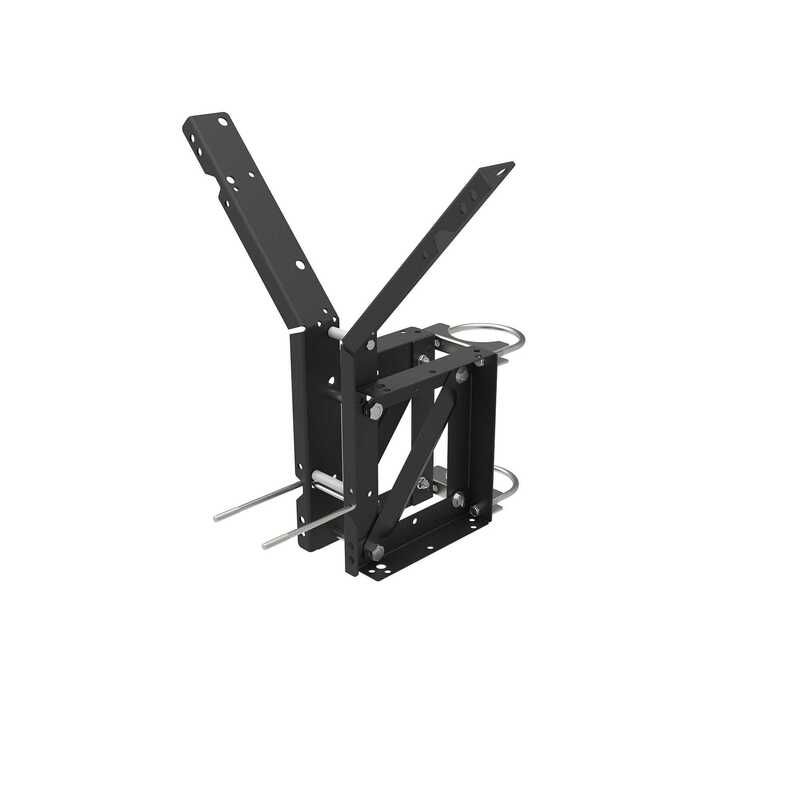 The bracket arms can pivot forward or backwards to accommodate any roof slope including a flat roof. A: We currently don't have a video for either of those products. I recommend clicking on the link under the instructions tab and viewing the instructions. Q: Is this compatible with the Lifetime Slam-it 18" rim? 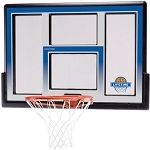 A: This product does not include a backboard, it is only the mounting hardware to mount a backboard to a pole/wall etc. Backboards are sold separately. Q: I have a Lifetime 48 inch backboard and rim. # 73729 Will your bracket kit work with this backboard? A: Yes, model number 73729 is absolutely compatible with the brackets model number 9594. Feel free to contact us with any other questions. Q: Can I attach this to the space above my garage door? A: Having seen this personally, it looks great. It should work as long as you have enough space for the mounting brackets. Q: What if I only have a small plate to mount these brackets on? A: That works fine as long as the plate you have is 16" W x 20" L or larger. You can simply use the wall mount option in the instructions. Q: I want to mount this to a wall. What is the smallest dimensions this bracket can fit on a wall? I want to put it in a bedroom or between two doors. A: The 9594 and 1044 require a wall width of 16" wide by 20" vertical. If you have that space, then these brackets should mount to the wall. Q: What do I need to use this bracket? 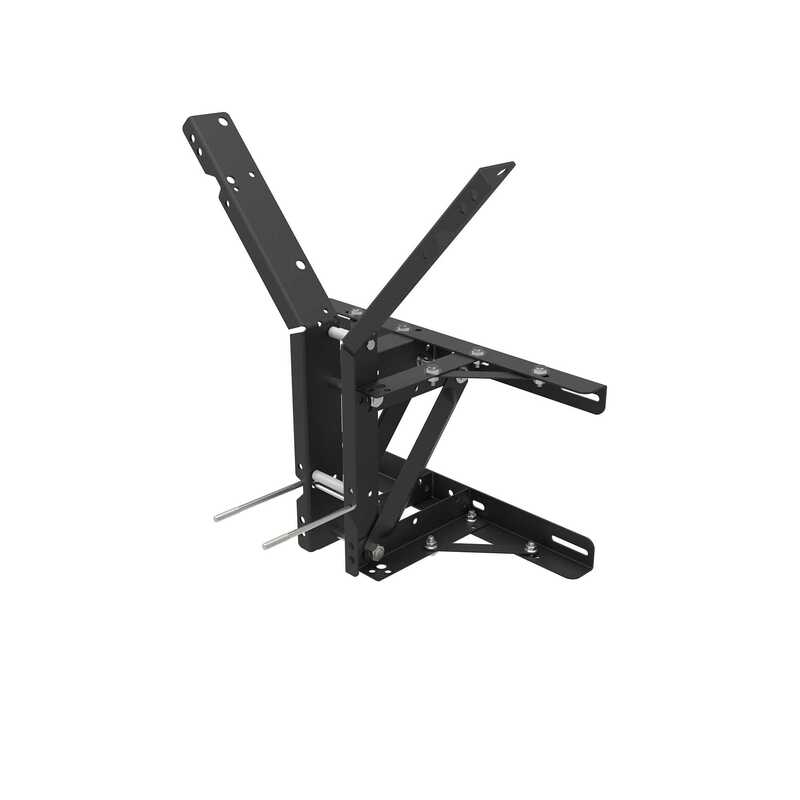 A: The 9594 mounting bracket can attach to a wall, pole, or roof top. To get your rim to a regulation-height level, you need at least 10.5 feet above the ground to where you mount this bracket. If attaching this bracket to an existing pole, the pole needs to be a 3.5 inches in diameter. If attaching this bracket to a wall or roof, the lag bolts that go into the wall or roof are not included. You will need to go to a local hardware store and get the appropriate lag bolts for whatever material your are mounting this bracket to. 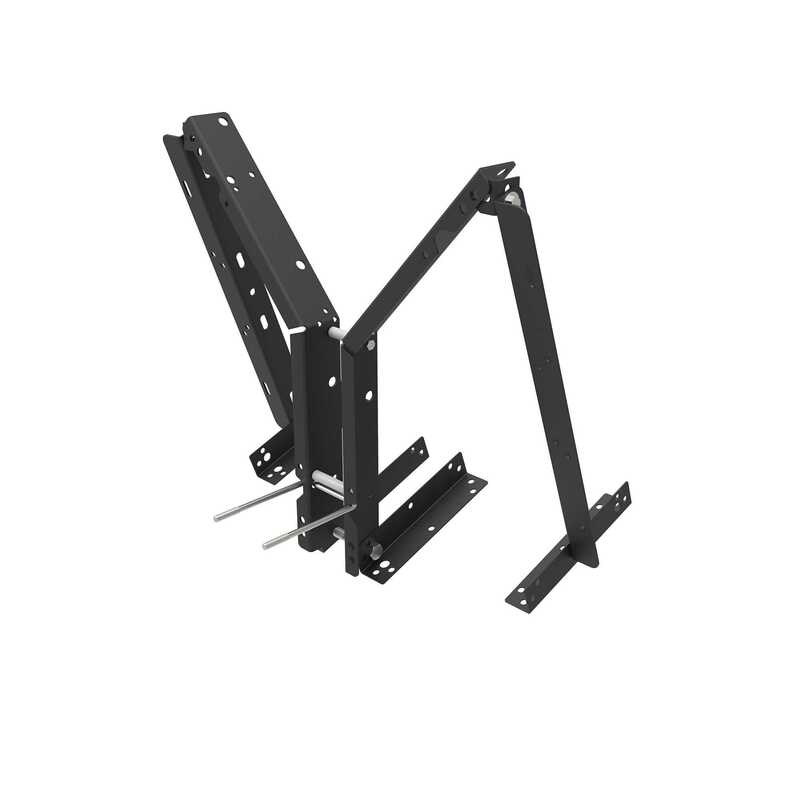 Fast Shipping: Orders for the 9594 Lifetime Adjustable Brackets generally leave the warehouse the next business day. Delivery Details: This product ships directly from Clearfield, UT. This item ships via FedEx and may not require a signature. Dimensions: 23" x 7" x 3"